Rejuvenate & Illuminate - A daily facial oil that is supercharged with powerful antioxidants and natural vitamins is an alternative or booster to facial creams. Formulated for all skin types, this wonderfully balanced, brightening face oil contains 100% cold pressed and unrefined oils, powerful botanical extracts and premium essential oils that support a youthful, glowing appearance all while reducing visible signs of ageing. +Organic Pomegranate Seed Oil: Rich in Vitamin C this oil is a powerful antioxidant that improves skin elasticity and protects against sun damage. It promotes collagen and elastin production and brightens and evens skin tone. +Organic Rosehip Seed oil: is a superstar at repairing sun damage and discoloration. This amber coloured oil is a dry oil and contains natural Vtamin A (retinol). Rosehip is an excellent rejuvenating oil, it reduces the appearance of scars, stretch marks, age spots, and hyper-pigmentation like no other oil can. + Organic Argan Oil: Commonly known as ‘Liquid Gold ‘rich in antioxidants, omega-6 and 9 fatty acids and high doses of Vitamin E. This oil is astonishing healing, conditioning and anti-aging. Repairs and replenishes skin cells and rejuvenates the skin. + Organic Golden Jojoba Seed Oil: Lightweight, fast absorbing ,this oil mimicsthe skin's natural texture (sebum) because of its special chemical-molecular composition, with its long chain esters. Jojoba oil is non-comodegenic and penetrates the skin pores without clogging them, thus allowing the skin to breath freely while at the same time rejuvenating itself with the oil’s moisturising effect. + Helichrysum Essential Oil has anti-inflammatory, anti-allergenic and anti-biotic properties. It heals, soothes and repairs skin and prevents acne. Just apply a few drops of this light, easily absorbed, hi-performance illuminating oil and pat lightly into skin. Use AM-PM. Rejuvenate, increase cell renewal and help prevent premature ageing with this nourishing anti-oxidant rich, super absorbent facial oil. Premium Natural & Organic ingredients: Pure cold-pressed oils of Punica Granatum (Pomegranate seed) Oil, Cannabis Sativa (Hemp Seed) Oil, Argania Spinosa (Argan) Oil, Simmondsia Chinensis (Jojoba Seed) Oil, Helichrysum Italicum (Immortelle) Essential Oil, GMO-free Tocopherol (Vitamin E). 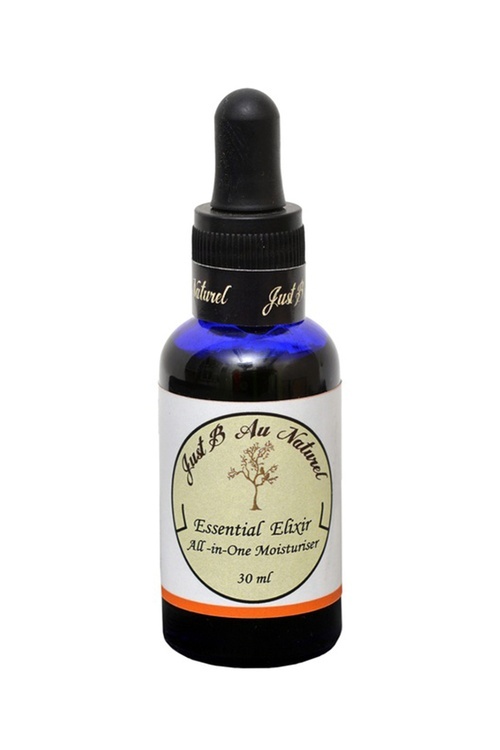 Custom blend of certified age-defying organic essential oils.